Hurricane Update: Hurricane Irma has devastated St. Martin when on September 6th, they were hit with the Category 5 hurricane. Recovery efforts to restore the island are underway. You can make a financial donation to the Red Cross® today to help support and impact lives. To help out the island of St. Martin, visit the Red Cross here. Saint Martin is part of the Leeward Islands in the Caribbean Sea. It comprises 2 separate countries, divided between its northern French side, called Saint-Martin, and its southern Dutch side, Sint Maarten. 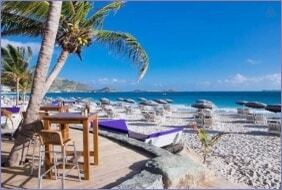 St. Martin is known for fusion cuisine, vibrant nightlife and duty-free shops selling jewelry and liquor. Both sides of the island offer a touch of European culture along with a lot of laid-back Caribbean ambiance. Water sports are everywhere to include diving, snorkeling, sailing, windsurfing, and in early March, the Heineken Regatta. 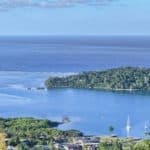 With the soft trade winds cooling the subtropical climate, it’s easy to relax on one of the 37 beaches, stroll Philipsburg’s boardwalk, and peruse the shops on Philipsburg’s Front Street or the rues (streets) of the very French town of Marigot. When cruise ships are in port, and there can be as many as seven at once, shopping areas are crowded and traffic is pretty slow. Spend these days on the beach or the water, and plan a shopping excursion for the early morning or at cocktail hour.. Still, the feel of the sand between your toes or the breeze through your hair, gourmet food sating your appetite, and visiting two nations on one island is a slice of heaven. To learn more about all the beautiful beaches on St. Martin, visit here. Now view our St. Martin travel guide to help plan your next St. Martin vacation! Like the other islands in the Caribbean, Saint-Martin has a tropical climate. The average annual temperature is 80.6°F, peaking at around 89.6°F. Temperatures rarely dip below 68°F. The temperature on St. Martin is stable and benefits from the trade winds. There is no rainy season as such and the showers are rather short In spite of the stable temperature on the island, there are two seasons : the dry season from December to April, and the wintering season from May to November. The best time to visit St. Martin and St. Maarten is May and June or between November and mid December. These select weeks are times when hotels advertise their best rates. 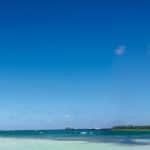 The island’s weather is pleasant year-round, but these are times when rain showers are less likely. Summer and early fall are not good for a vacation; many hotels close in this off-season and there’s a chance of hurricanes. Also avoid visiting in winter if you can. That’s when St. Martin and St. Maarten milks its wealthy vacationers. U.S. and Canadian citizens must have a passport or a combination of a birth certificate and photo ID, plus a return or ongoing ticket, to enter St. Maarten/St. Martin. Citizens of the United Kingdom, Commonwealth countries of the Caribbean, the Republic of Ireland, and E.U. countries must also have a current passport. No visa is required to visit St. Martin. The island has two airports. 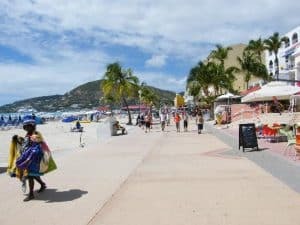 Your likely arrival point will be St. Maarten’s Princess Juliana International Airport, which is the second-busiest airport in the eastern Caribbean, topped only by San Juan, Puerto Rico. Princess Juliana is a thoroughly modern facility, with restaurants, snack bars, ATMs, and car-rental kiosks. The much smaller L’Espérance Airport, in Grand Case on French St. Martin, caters largely to inter-island commuter airlines and small private aircraft. American Airlines offers more options and more frequent service into St. Maarten than any other airline — currently one daily nonstop flight from New York’s JFK and one from Miami. Additional nonstop daily flights into St. Maarten are offered by American and its local affiliate, American Eagle from San Juan. Taxis are widely used to get around the island of St. Martin. Taxis can be found at Princess Juliana International Airport, and are conveniently located just outside the airport Arrivals section. Taxis are not metered on either sides of the island (although drivers are required to carry government-issued rate sheets based on two-person occupancy), so always determine the rate before getting into a cab. A car is the best way to experience and explore St. Martin. And renting a car here couldn’t be easier; car-rental agencies are a dime a dozen, with locations at the airports and throughout the island. 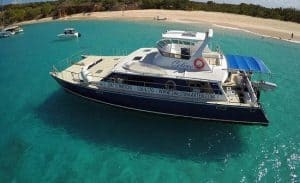 It’s also a cost-efficient way to see the island, with rates starting around $30 a day, with unlimited mileage, and short distances between towns. Many rental agencies will also deliver cars directly to your hotel, where an employee will complete the paperwork. Some hotels, like La Samanna, actually have a fleet of cars to rent on the premises, but try to reserve well in advance because supply is limited. Traveling by public bus, more like a minivan, is a reasonable means of transport on St. Martin if you don’t mind a bit of inconvenience and overcrowding. Buses run daily from 5:00 am to midnight and serve most major locations on both sides of the island. The most popular run is from Philipsburg on the Dutch side to Marigot on the French side. Privately owned and operated, minibuses tend to follow specific route. The buses accept both dollars and euros. 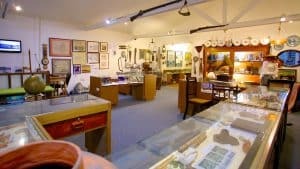 Arawak pottery shards, plantation-era artifacts, period photos and a few items from HMS Proselyte, the frigate that sank off Fort Amsterdam in 1801, are among the displays at this island history museum, along with exhibits covering 1995’s devastating Hurricane Luis, the salt industry and slavery. The little shop downstairs sells an assortment of Caribbean arts and crafts. For more information call 721-542-4917, or visit them on the web at St. Maarten Museum. Wander along Boardwalk and take in the sights of the bustling area. Forming a vein separating the beach from the restaurants, bars, hotels, and shops on the other side, the boardwalk serves as a great place to meet people from all over the world as they amble in the sun, or watch the glistening ocean in the distance. Peruse the various shops and pick up a souvenir or two, rent a segway to get around, or simply people-watch. Note that the boardwalk can get busy when cruise ships come in to dock. For more information call 721-542-2964, or visit them on the web at Boardwalk. Loterie Farm is a private nature reserve where they have several treetop adventure obstacle courses as well as hiking trails. On top of that they also have our restaurant, Brasserie Loterie Farm, the Treelounge Tapas Bar and a pool area, L’eaulounge. For more information call 590-087-8616, or visit them on the web at Loterie Farm. 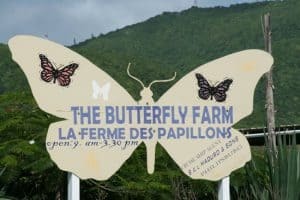 At the Butterfly Farm you will be escorted by your guide who will lead you through a specially created exhibition area of landscaped gardens. This is the butterflies own lush tropical garden playground! Here you will see hundreds of rare and exotic butterflies fluttering freely around you. The guide will identify different species, point out courtship and mating displays and tell butterfly facts and stories. For more information call 590-590-87-3121, or visit the Butterfly Farm. 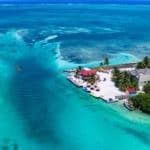 Simpson Bay was the home of a Danish fishing community and for many years there was no bridge over the marshy area that allowed flow in and out of the lagoon. Things change. Today a large drawbridge opens six times a day to let mega-yachts into the Isla del Sol Marina and Princess Juliana Airport is next door. In 2012/3 a causeway was built from the airport to the Dutch side of the border on the eastern side of the lagoon. The area is ringed with hotels, casinos, and restaurants. For more information visit them on the web at Simpson Bay Lagoon. They have many great options and alternatives for your pleasure including day and private charters to Anguilla, St. Barts and locally around St. Martin as well as any land, or sea activity you may desire. 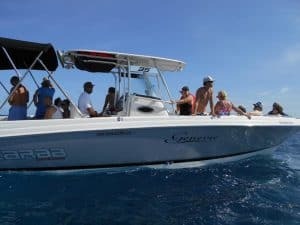 Their excursions are custom tailored to your needs, be it a private charter or just a relaxing sunset cruise, scuba diving, snorkeling, deep sea fishing, horseback riding and anything you could imagine. For more information call 721-543-6931, or visit them on the web at Soualiga Destinations Boat Tours. Try their famous 3 Islands+Snorkeling and beach adventure, a four hour trip every morning for young and old. Special rates for kids under 12, kids younger than 3 go for free…. They also have an almost private 6 hour version with lunch and even more quality time ! Or book a private charter to/around the island or Anguilla or St. Barths. ..Or for those who do not like tanning lines: they offer full day clothing optional around the island or St. Barth’s trip. For more information call 721-580-0377, or visit them on the web at Captain Alan’s Three Island Snorkeling Adventure. With Captain Mike and his team, they will take you take you to secluded beaches, fabulous restaurants and see unforgettable sites. 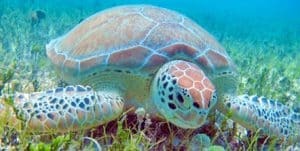 Swim with sea turtles at Tintamarre island, snorkel reefs full of exotic fish, watch the planes land directly overhead from the sea, maybe see a movie star relaxing on the magnificent beaches, and see the island from a different perspective! For more information call 721-559-2173, or visit them on the web at Robinson Speed Boat Tours. Celine too goes out daily for day charters and is available for 3/4 day charters. She also has a glorious Sunset Cruise around the lagoon on Tuesday evenings and offers the only boat pub crawl on St. Maarten. The Pub Crawl visits three popular restaurants in the Simpson Bay lagoon with an appetizer an entree and a desert with a drink at each stop. For more information call 721-526-1170, or visit them on the web at Celine Charters. An unbeatable setting, open-air with gorgeous views and cooling ocean breezes, makes the Restaurant at la Samanna Resort a fabulous spot for romance. Recognized as one of the top restaurants in the Caribbean, with a bevy of awards, The Restaurant features contemporary French cuisine with a touch of the Caribbean. You’ll find an assortment of wonderful dishes to tempt you: an absolutely fabulous lobster sampling with five different preparations, pan seared foie gras, seared scallop on zucchini flower-parmesan risotto, roast squab breast, and braised veal cheeks. The resort’s wine cellar has earned Wine Spectator’s Best of Award of Excellence. For more information call 590-590-87-6400, or visit them on the web at Restaurant at La Samanna. Specializing in traditional French fare, this delightful restaurant has a way with classic technique and the occasional Caribbean ingredient. Fresh fish is often adorned with lush sauces, and puff pastry makes for a nice presentation with main courses. Steak béarnaise also draws raves from regulars. Lunch in the downstairs venue is certain to be well-executed and satisfying as well. For more information call 590-590-87-6911, or visit them on the web at La Vie En Rose. The award-winning Le Santal has been earning raves since it opened in 1976. The cuisine is decidedly French, from appetizers such as lobster bisque, foie gras terrine and caviar with vodka, to chateaubriand for two, Provençal style prawns and scallops, and roasted lobster with champagne sabayon, right through to impossibly light dessert soufflés, crème brûlée, and crepes Suzette. The perfect place to impress a date or celebrate an anniversary! Spectacular views and impeccable service add to the overall fine dining experience. For more information call 590-590 -87-5348, or visit them on the web at Restaurant Le Santal. Recognized by local publications for its romantic ambience, this fine restaurant offers gorgeous terrace dining and incredible views from even the interior tables. The cuisine complements the scenery beautifully and features such dishes as scallops and shrimp on saffron risotto, a lush cioppino, pasta with lobster medallions, and a signature lamb that’s carefully spiced and cooked for seven hours. A great crème brûlée heads the list of desserts, and the wine list is primarily French. For more information call 590-590-29-0856, or visit them on the web at Sol É Luna. Chef Dino Jagtiani has made quite a name for himself, overseeing the kitchens of both Rare and Temptation at the Atlantis World Casino. Here at Temptation he focuses his skills on Nouveau Caribbean cooking. Highlights range from the unusual Seared Foie Gras “PB&J” (with melted peanut butter and homemade port wine-fig jelly), to the sublime Butternut Squash Bisque (velvety, with hazelnut oil and cinnamon-orange foam). For your main course, try the “Reef and Beef” with garlic sautéed lobster tail and hoisin-braised beef short ribs. For more information call 721-545-2254, or visit them on the web at Temptation. Nestled between the runway and sea, the Sunset Bar has perhaps the most photographed beach in the Caribbean. Once a quiet place to have a cocktail and watch planes come and go, the Sunset has become a scene over the past few years…The planes come and go on schedule but the bar tends to be less scheduled and more…unscripted. 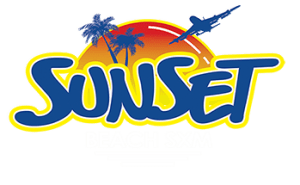 For more information call 721-545-2084, or visit them on the web at Sunset Bar & Grill. Dawn Beach is one of St Maarten’s most beautiful beaches. Located on the beaches north end, tucked under palm trees and sea grapes, you will find Mr Busby’s Beach Bar and Restaurant. You’ll also find very good food and a good friendly vibe. For more information call 721-543-6088, or visit them on the web at Mr. Busby’s Beach Bar. Located right on Simpson Bay Beach on a quiet and calm stretch with soft sand just perfect for the whole family. The eclectic Karakter is open 9am-10pm and serves simply amazing food. For more information call 721- 523-9983, or visit them on the web at Karakter. This beach bar will celebrate a 22-year anniversary this July. The iconic beach bar has stood the test of time for good reasons: location, location, location! Orient Beach is like a ground zero for beach party goers. And it’s a must on a tour de bar of St Martin or the Caribbean. For more information call 0690-74-34-29, or visit them on the web at Bikini Beach. Lazy Lizard Beach Bar and Grill is located right on the Philipsburg Boardwalk. They have delicious homemade food – with an island twist, of course – along with impeccable service and a gorgeous ocean view setting. Join them for lunch, drinks, or just relax on their beach chairs, while they serve you our hand crafted cocktails, appetizers and entrees. They also make their very own infused rum! And love to offer samples of all of their yummy flavors! For more information call, or visit them on the web at Lazy Lizard Beach Bar. Hands down one of the best island experiences that tourists have GOT to experience. Not only is the water taxi and boat bar awesome, the staff is friendly as are the regulars that visit it. 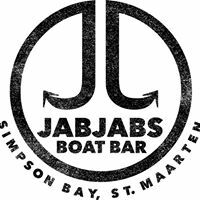 JabJabs is truly an experience on the island that you just don’t want to miss! For more information call 721-523-8021, or visit them on the web at JabJabs Boat Bar. This property is a 5-minute walk from the beach. La Martiniere is a semi-detached villa with a terrace, located in Saint Martin. The villa is fitted with air conditioning and free WiFi. Free private parking is available on site. The kitchen features a dishwasher and an oven. A flat-screen TV with satellite channels and DVD player is featured. Other facilities at La Martiniere include an outdoor pool. You can play tennis at the property, and the area is popular for horseback riding. Guests can enjoy various activities in the area, including snorkeling and windsurfing. For more information, pricing, or to reserve your room, visit La Martiniere. This property is 3 minutes walk from the beach. Located in Saint Martin, this air-conditioned villa features free WiFi. You can relax by the outdoor pool in the garden and use the barbecue. Free private parking is available on site. An oven and a microwave are provided in the kitchen. A flat-screen TV with satellite channels is featured. 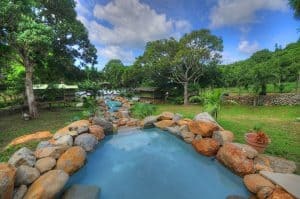 Other facilities at villa Colibri include a year-round outdoor pool. For more information, pricing, or to reserve your room, visit Villa Colibri. Luxury boutique condo hotel offering spacious Studio, One and Two Bedroom Suites. Ideal for couples and families, our Deluxe Suites feature king size beds, large balconies with ocean views to the Atlantic Ocean and french St. Barts. Princess Heights Hotel is well known for the comfort and cleanliness of its suites as well as for the professionalism and friendliness of the staff, making it one of the top hotels in St. Maarten / St. Martin. For more information, pricing, or to reserve your room, visit Princess Heights Luxury Boutique Condo Hotel. Guests can soak up the sun on the stunning Grand Case beach. Their Sand Bar and Sunset lounge offer fantastic cocktails and spectacular sunsets. Free Wifi is available thru the property (Suite, Restaurant & Sand Bar). Every Suite offers: air conditioning, satellite TV, mini-bar, safety deposit box, telephone, hairdryer, coffee maker, ceiling fan and luxury amenities. Free French breakfast – they use fresh and genuine local products paying particular attention to the variety and quality of the ingredients. The breakfast menu propose croissant, yogurt, fresh fruit, bread, jam, etc. For more information, pricing, or to reserve your room, visit Le Shambala. Featuring balconies or terraces with bay views, the 10 airy, unfussy suites come with Wi-Fi, cable TV and iPod docks, as well as kitchens and sitting areas. All include high-thread-count sheets and designer toiletries, while some have sofabeds and/or direct beach access. Upgraded quarters provide separate living rooms. A breakfast buffet and an area shuttle are free. Guests have access to yoga classes, a spa, a bar and an outdoor pool at a nearby sister hotel. For more information, pricing, or to reserve your room, visit Le Petit Hotel. Such a nice place to travel. I would like to travel to St Martin after the hurricane is over. Such a good place to travel with such an informative sites here. You help me from searching information about St Martin. I have everything I need now to start planning, thanks! It looks like such a beautiful place, I really do hope they can pick up their pieces after the hurricane. Thank you for such a comprehensive review, I’m definitely adding this to my list of destinations for the future. My former boss and his wife had a home there for several years. They spent a lot of time over there. They always seemed so much more cheerful and full of glee when they returned. Since then he has sold the the vitamin supplement company I currently work for and divorced his wife. Which i believe, is what had to do with why he put the home on the market. Which is kind of sad being faced with a personal situation that led to a decision where he had to leave a such a beautiful place. He told me when we last spoke the place sold right before the hurricane hit. I don’t know what kind of damage the home sustained if any. My prayers are with all who were affected and the recovery/restoration efforts. Wow, how truly sad for your former boss. I suspect the house had tremendous damage, as St Martin was devastated pretty much completely. My prayers go out to them as well for a speedy recovery as a country. Thanks for reading my St Martin Travel Guide! Great post! So sad what has happened there. You always have such comprehensive posts that cover everything. I lookmforward to the island being repaired and bought back to its usual pristine state and visiting one day. You are welcome Kevin 🙂 I am glad you enjoyed reading. They say it will be in the first part of 2018 before everything will be back to its usual self. So sad for such a beautiful country. Thanks for visiting! Yes, I know but hey, it is all worth it when you get there. You can leave your worries back home, kick back, relax and enjoy the beauty! Thanks for reading the St Martin Travel Guide. I hope and pray for the people of Saint Martin and all the others whose lives and livelihoods have been affected by these hurricanes; and that they will rebuild, recover, and heal quickly; and that their latter days will be greater, healthier, and more prosperous than their former days. 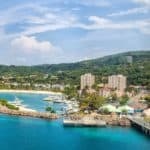 I really enjoyed your post and found it to be very informative and helpful about things to do, see, places to stay, eat, and just have fun while visiting Saint Martin. It brought back fond memories of my traveling days as a military flight attendant. Although, I have visited several islands during my travel, St Martin isn’t one of them. However, it is on my list of places to still visit and the information provided in your travel guide has increase my desire to do so. I’m looking forward to day when I will have the opportunity to visit. One of the things my fellow flight attendants and I used to do when we had several days on the ground in a new location was to do our best to experience the local cuisine or national dish if the place was famous for one. For example, the island of Mauritius is known for its curry dishes, vanilla tea, and some of the sweetest pineapples you will find anywhere in the world. Do you know if St. Martin has a national dish its famous for? Also, do they have karaoke at any of the bars or restaurants? One of my traveling companions is a karaoke nut. Thanks for all the great information. Wishing you God’s best! Glad you enjoyed reading my St Martin travel guide! Wow! What a comprehensive guide to St. Martin! Lots of great info for anyone wanting to visit, like me! I hope they can get the island fixed up quickly. I am from a tourist destination myself and know how an event like a hurricane can devastate the economy. Thank you so much! Yes, I know too how it can affect the the economy. We just went thru Irma, and had some pretty bad damage around the state (Florida). The first they did of course, was clean up the beaches. Still waiting for them to come around and pick up my mile high pile of debris. Thanks for reading the St Martin Travel Guide. The hurricane news really hit home for me. I was a victim of Katrina so I can relate to what they are going through. My prayers go out to them and I hope it gets fixed real soon. I’m making a donation thank you for spreading the word. You are kind and very informative. We need more people like you in the world today. Thank you so much James, and we do need to spread the word. I know how scary it is, I had to evacuate from Irma. We did not have the total devastation, thank goodness, so I just can’t imagine the full force they had. Thank you so much for reading and helping! I do so hope that St. Martin can eventually recover completely from the recent devastation that the island had to endure when Hurricane Irma hit. Seeing images that you posted of various sites within St. Martin it was, (and hopefully will one day return to being) a gorgeous vacation spot in the Caribbean. 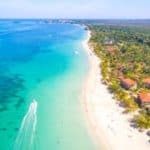 Having read so many other articles posted on your tremendous site, you again did a superb job in explaining all of the different attractions, places to stay and eat, transportation choices among the many offered to people visiting St. Martin. I did click on the first hotel linked, trying to find out what it would cost to stay there. With a deposit of around $560, this hotel is obviously not your old Howard Johnson’s mediocre quality hotel. It is probably quite expensive. However in the past visiting Hawaii and staying in fine hotels one has to remember that if you want to stay in a quality place, you have to be willing to pay the freight. That old saying “you get what you pay for”, would apply. It would also be well worth it. 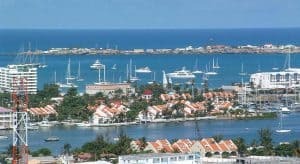 I’ve never been there to St. Martin, my now deceased parents once visiting Aruba back in the late 1980s and loving it. Perhaps in the future I could visit St. Martin on a vacation. Perhaps though in the spring when there are less odds of a future hurricane hitting as can be the case in late summer through the fall. Thank you Jeff for your well thought out and great comments! I too, hope that they can rebuild and become the beauty they were before this mass of hurricanes hit them. I know the effects, but luckily we were spared such devastation. And yes, you most certainly get what you pay for. I guess it all comes down to what type of vacation you are looking for. You can go for budget, or you can go for a vacation of a lifetime 🙂 Thanks for reading my St. Martin travel guide. Wow this hurricane season was absolutely devastating to the Caribbean!!! Thank you for this post as St Martin is definitely one of the destinations that I am extremely interested in visiting. I have heard that this destination can be quite expensive though compared to other Caribbean destinations. Is this also the location where the arriving airplanes come right over the beach on their approach path? Yes, and yes. St. Martin is expensive to vacation to, yet it is one of those memorable places that you will always remember and smile about. And yes, you can sit at the beach and look up at the airplanes which is a truly spectacular sight. The beach is Maho beach, but unfortunately the airport was completely destroyed in the hurricane. They are rebuilding, but might not be until 2018 to enjoy this wonderful site again. 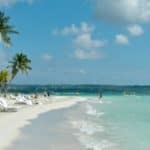 Thanks for reading BeachTravelDestinations.com! I’ve always wanted to go there! I had a friend when I was young whose family went every year and he would come back so happy and excited about the things he got to do (and the beautiful weather). The treetop obstacles sound amazing and would probably be my first stop. As someone living in a hurricane affected area myself I sincerely appreciate you updating with hurricane news and a way to donate. May their recovery be speedy. I agree and I too live in a hurricane area and recently had to evacuate for Irma. It is horrible and I think that we all need to support these countries to help them get back to their beauty they were before the hurricane. Thanks for reading, and yes St. Thomas is absolutely beautiful. Sorry to hear about the hurricane news and I bet the restoration work will be finished in no time. Other than that, thanks for sharing about this place. Very beautiful place to visit instead. I am planning for my next trip with my wife and I think this is one place to consider for sure. Would share this with my wife and see what she thinks about it. Ok, you and your wife will love it here. I do have to say that they are hoping for restoration and visitors by 2018. Gives you plenty of time to save up 🙂 Enjoy and let me know if you need any help with planning. 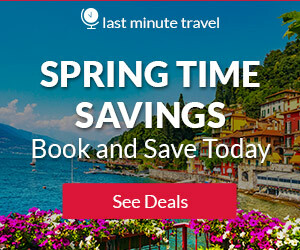 Thanks for visiting BeachTravelDestinations.com.